I fished from 7:30 to 10:30 in Kim City area and had decent luck with a underspin and plain swimbait. I fished the mouth of a spawning cove with my boat setting in 45' and casting to 25' and slow rolling over trees. I had 10 fish with 8 keepers, 3 LM and 5 Ks. 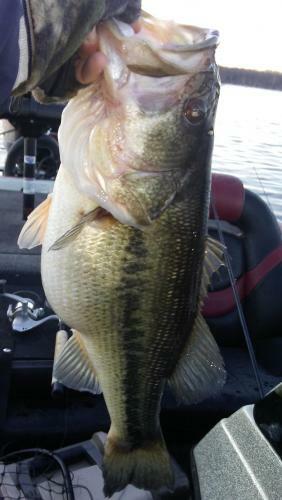 One LM was 5.11 using a 2.8 inch plain swimbait. Another LM was 5.5 using a 3.8 inch plain swimbait. This time of year, the plain swimbait can out perform an underspin. I caught a few keepers on the underspin and the rest on a plain swimbait. The area I fished had very little bait compared to when I fished it 10 days ago. Ten days ago it had too much bait in the area. The WT was 43.5 to 46. Some shad are still dying, but it seems to be minor. I could not move around much due to the amount of boats in the BFL tournament. For me, the main feeding time was over at 9AM. 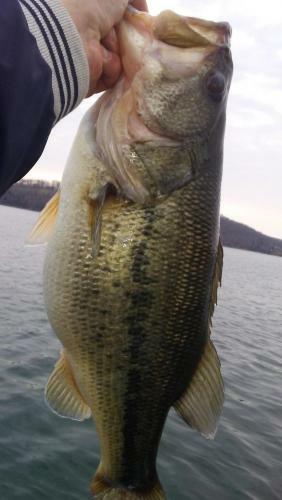 I would estimate my best 5 weighed 18.5 Lbs. Hopefully soon. Im ready for some Bull slabs. I never do worth a hoot on walleye unless its August or September. Im gonna try to get down to Big Creek mid April. You had to be feeling pretty good about yourself early, I would have had a smile from ear to ear with that start. Man that is frustrating though. We started close to that last Friday and then from 9 o'clock never had another bite the rest of the day. that wipes the smile off pretty quick. I have probably never been as confused as I was Friday. Glad I was not in that derby, cause I just would have had zero answers. I would have probably went up the river after my Friday but I may also have thrown the floater as there was little to no wind. We could not do that on Friday cause it was still blowing a gale. Great respect to Dock and everyone that had a clue on Saturday. I was definitely feeling good although a little bit shakey 😆 couldn’t have asked for a better start. 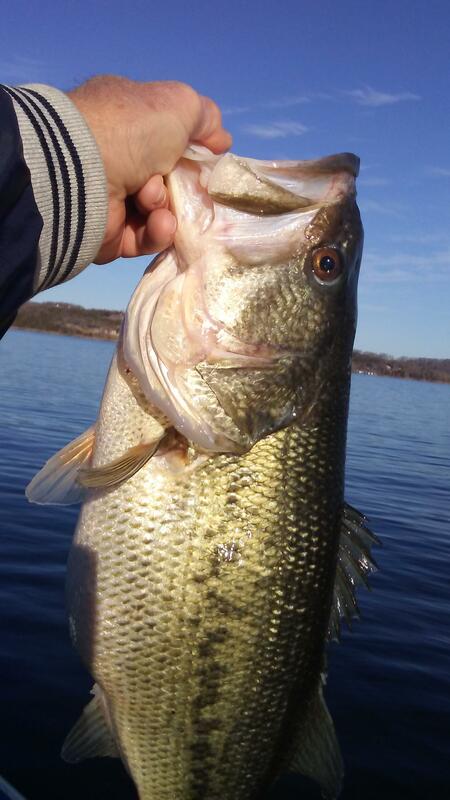 The big girl was completely juiced , and went absolutely crazy with 10lb on the rod . I caught this one this morning on gravel using a 3.8 swimbait scrubbing the bottom in 12 to 16 ft. I put the boat in about 22ft and make a 45 degree cast toward the bank and try to cover as much 12 to 16 depth as I can. The bottom slime in Kim City is fairly prevalent, so the 3.8 swimbait on a 3/8oz head works like a crankbait without the slime issue. This pre-spawn period has so many options and the fish give are giving me very few clues to maximize my catching. This one weighed 5 even. Nice one Dock, you're doing a good job of convincing me I need to be out there slinging Keitechs. very nice report and man I really love the fact that you catch actual legit fish and don't have to resort to a floating piece of poo. You are the man!!! and I really can't wait for your next report. Kind of Harsh. IF your catching fish right now with anything other than dynamite more power to you. I appreciate and respect the time it takes for anyone to make a report, not to mention giving away methods to catch keeper fish. Dock is doing a great job and we all thank him and look forward to his reports. I also appreciate the other hundreds of posters that truly make this forum a keeper for sure.